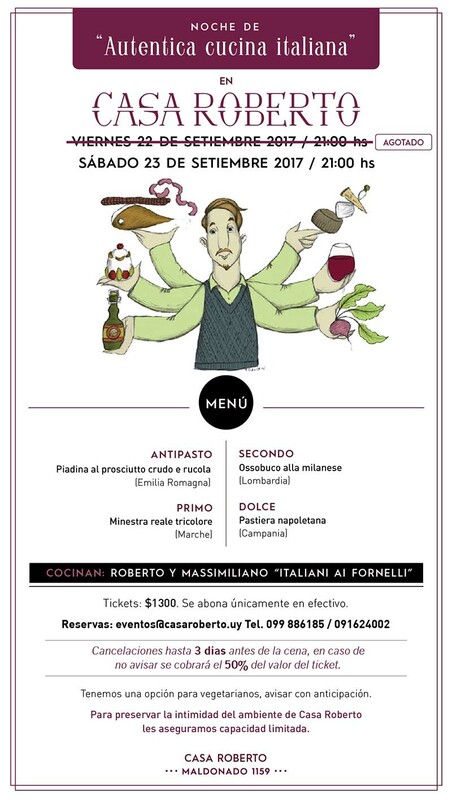 2 nights of "Autentica cucina italiana"
In the kitchen: "Italiani ai fornelli"
In the kitchen: Roberto & Max "Italiani ai fornelli"
"When we dance our bodies are not any more than the way that our souls dance". 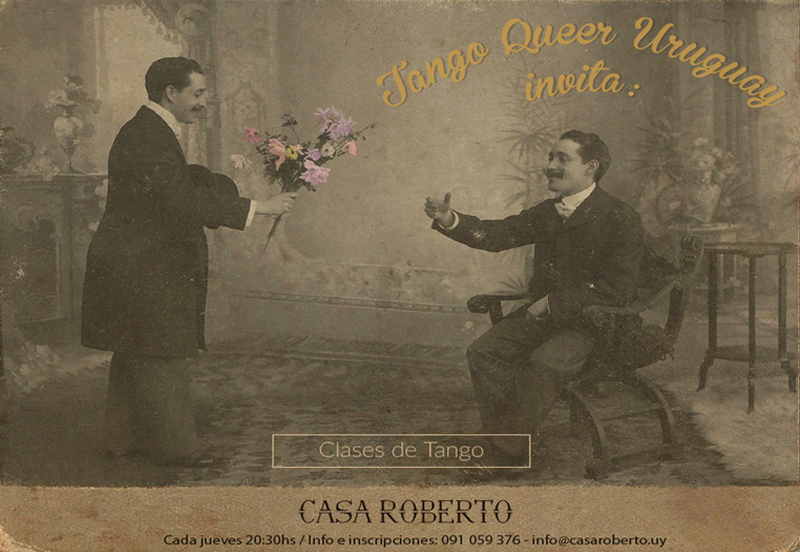 Every Thursday Casa Roberto receives in its court Gonzalo Collazo the founder teacher of Tango Queer Uruguay, for different classes of tango. 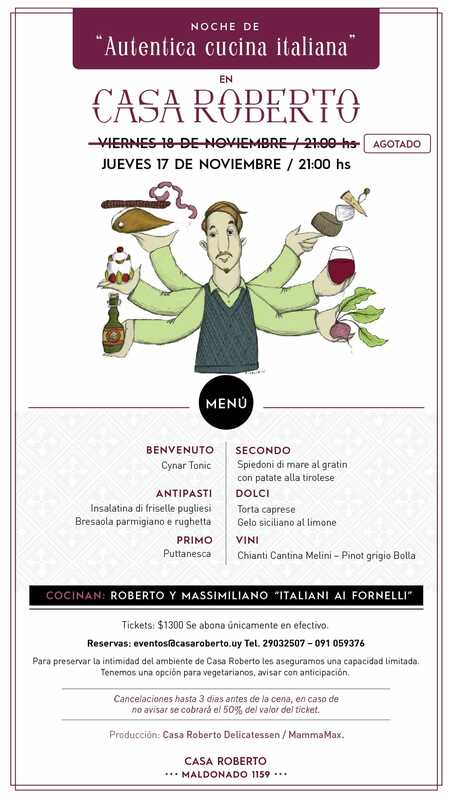 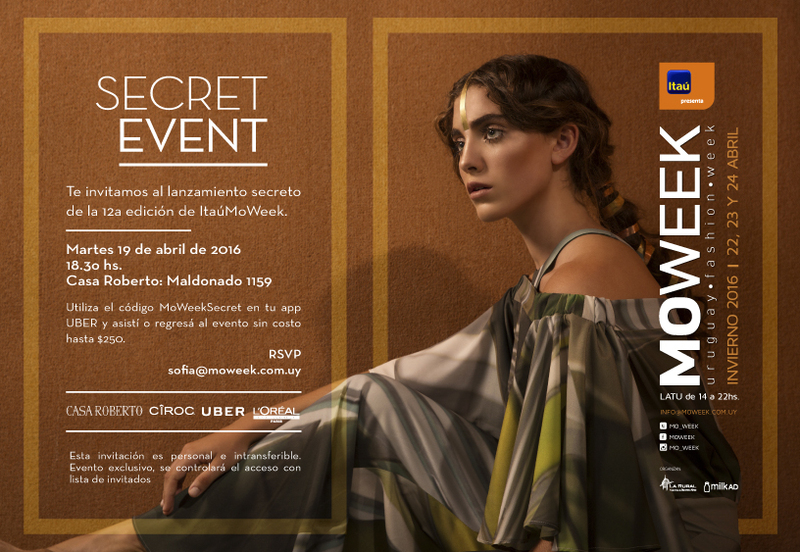 "Bed and dinner" Dinner Cycles of ​ Cuisine Secrete Supper Club of the cook Elsa Manelphe on February 24 and 25, 2016.